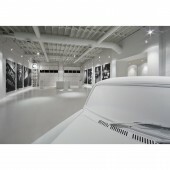 The show gallery re-imagines its automotive legacy and Edition Richmond as art, linking the twenty urban residences to Queen West, Toronto’s leading arts corridor nearby. 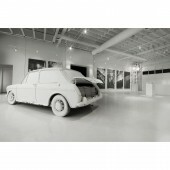 On exhibit are an assortment of white-painted car parts and a whitewashed Austin America, an installation that doubles as storage for Edition Richmond’s brochures. The 255 m² presentation centre for Edition Richmond is housed within the former auto repair shop of the defunct “Toronto Transmission & Gear Company.” The unassuming garage on site furnished a serendipitous opportunity to showcase the upcoming infill homes in synergy with the past and present identities of the Downtown Toronto property and neighbourhood. 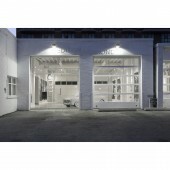 The garage-turned-showroom has been maintained in its original, raw state though repaired and whitewashed. White floors, walls, doors, ceilings and found objects lend an ethereal quality to the transformed space. The townhome project’s graphical-projection scale model is akin to a modern-day lithograph. The “black-line” floor plans for its “limited edition” homes, printed on canvas, are presented as original artworks in a series. Oversized black-and-white photographs, also printed on canvas, illustrate the vitality of the immediate neighbourhood while counterbalancing the showroom’s all-white interior. The car parts and automotive-related objects displayed in this presentation centre were specially selected by the interior designers from within the former garage. 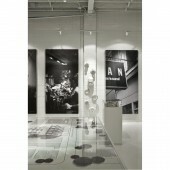 The photographs and “black line” floor plans were printed on canvas and stretched over frames measuring 122 cm x 244 cm. The 1969 Austin America – body only – was locally sourced on eBay by the project developer and shop-painted on site behind the garage. The project’s scale model, executed by the interior designers, is a three-dimensional drawing realized on a two-dimensional surface and displayed under Plexiglas. The main challenge of this design was to transform a most ordinary, pedestrian building interior into one that could engage visitors, signalling for them a transition from the mundane to the extraordinary. 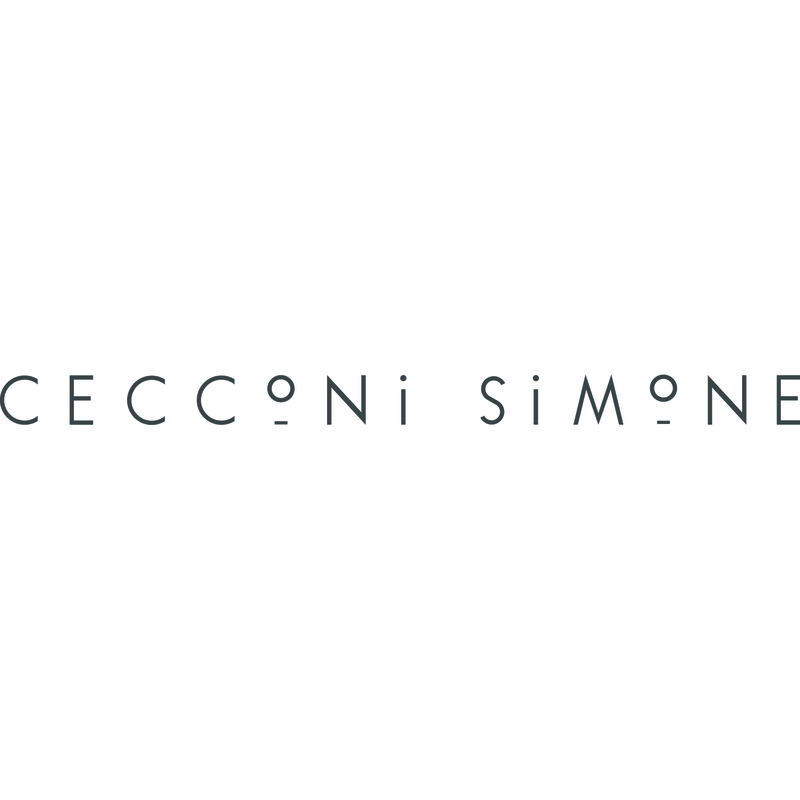 Cecconi Simone Inc. is a multi-disciplinary, interior-design firm based in Toronto, Canada, privately owned and operated by Elaine Cecconi and Anna Simone. Established in 1982, the firm has met with continued success, producing award-wining designs for the retail, corporate, residential, and hotel-hospitality sectors in Canada, the United States, the British West Indies (Anguilla), Italy, the United Arab Emirates (Dubai and Abu Dhabi), Qatar, India, and China. Residential and hotel-hospitality projects comprise a significant portion of Cecconi Simone’s portfolio, including about 70 condominium communities in Toronto alone. With the global trend toward increasing urbanization, the firm has positioned itself as an industry leader in designing smart interior environments that respond to the market drivers of densification and price point, working collaboratively with some of the world’s pre-eminent real-estate developers and hotel operators. Edition Richmond, Toronto Urban Townhomes Presentation Centre by Cecconi Simone is a Nominee in Interior Space and Exhibition Design Category. Edition Richmond, Toronto Urban Townhomes Presentation Centre by Cecconi Simone is Winner in Interior Space and Exhibition Design Category, 2012 - 2013. Did you like Edition Richmond, Toronto Urban Townhomes Presentation Centre? Help us create a global awareness for good interior design worldwide. Show your support for Cecconi Simone, the creator of great interior design by gifting them a nomination ticket so that we could promote more of their great interior designs.